The most common means of transferring real property upon death of the owner are three well-known methods: (1) holding property in joint tenancy or as community property with right of survivorship, (2) a living trust, or (3) a will. However, in 2016, a lesser-known alternative to keep a decedent's home out of probate became available to Californians: the revocable transfer on death or "TOD" deed, a simple and inexpensive way to transfer real property to a beneficiary in California. Including California, TOD deeds are now permitted in 26 states and the District of Columbia. The TOD deed allows a person to leave his or her real property to a designated person or persons such as a family member, friend, life-long partner or other loved one without having to set up a living trust. The TOD deed is considered a nonprobate transfer under Division 5 of the California Probate Code. Other requirements are that a revocable TOD deed must be signed and dated before a notary public to be effective and valid; a TOD deed must be recorded within 60 days or less from the date it is signed; and, as its name indicates, the revocable TOD deed can be revoked by the transferor at any time. Upon death of the transferor, the beneficiary must file a Change in Ownership Statement with the county assessor within 150 days of date of death in accord with Revenue and Taxation Code section 480(b). It is important to note that the TOD deed must be substantially in the form provided at Probate Code Section 5642, a copy of which follows this article. The transferor or owner can revoke a TOD deed in any of three ways: (1) the owner can record a formal notice of revocation; (2) a new TOD deed may be recorded; or (3) the real property can be transferred to someone else prior to the transferor's death. Although the transfer on death deed must be recorded within 60 days or less from the date it is it signed and before the owner's death, the interest in the real estate only transfers when the owner dies. Accordingly, the beneficiary identified on the TOD deed does not have any rights to the real property when the owner is alive. Furthermore, creditors of a named beneficiary cannot place any liens on the property. 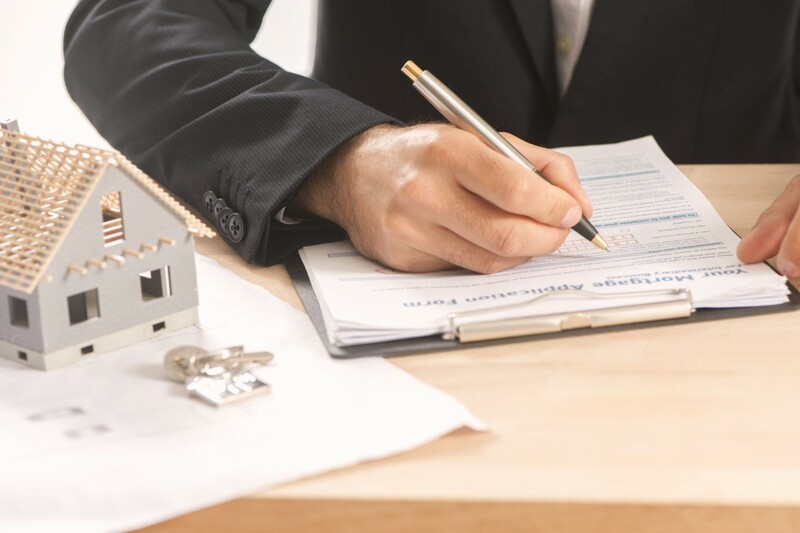 Of course, while the owner is living, the owner has the right to sell or encumber the property and it is also subject to involuntary liens that may be recorded by creditors of the owner which would transfer with the property to the beneficiary upon the owner's death. A TOD deed may not be ideal for use with property held in joint tenancy or owned as community property. Pursuant to Probate Code section 5664, if title is held in joint tenancy or community property with right of survivorship, then at the time of the transferor's death, the TOD deed is void if the other spouse, registered domestic partner, or joint tenant is still alive. Under those circumstances, executing a TOD deed has no effect. However, if the transferor decedent is the last joint tenant or spouse to die, the TOD deed takes effect and controls the ownership of the property upon date of death. Real property subject to a TOD deed remains subject to the claims of the transferor's creditors. The beneficiary of a TOD deed is personally liable to the transferor's estate and the transferor's creditors. The personal representative of the transferor's estate may demand restitution from a TOD deed beneficiary. This demand may occur as late as three years after the decedent's death. As with any method of estate planning, there are advantages and disadvantages with TOD deeds. Whether these will balance out in any particular circumstance will differ from person to person and from property to property. Summarized below are some of the more important pros and cons that will affect the decision of whether a TOD deed would be appropriate. 2. The TOD deed protects the property from probate as long as the beneficiary does not predecease the grantor. 3. The TOD deed is fully revocable during the real property owner's life time. 4. The TOD permits the grantor to retain full ownership of the property during his or her lifetime, instead of adding the beneficiary as a joint tenant and making him or her an immediate legal owner. 5. The recording of a TOD deed is not a taxable event. By contrast, adding a joint tenant is considered a gift by the IRS and requires the filing of a gift tax return, not to mention possible higher taxes in the future. 1. The property will be subject to probate if the beneficiary predeceases the grantor and there is no alternate estate plan. 2. If property is co-owned in joint tenancy, the surviving joint tenant becomes the sole owner upon the other's death and has full control of the property despite the TOD deed, unless the co-tenant has also filed a TOD deed separately naming the same beneficiary or beneficiaries. 4. If the owner becomes incapacitated through stoke, dementia, or other event, there may be no one to revoke the deed, which may be necessary due to a change in family circumstances or the need to qualify the person for Medicaid assistance. 5. Should the real property owner pass away, the named beneficiary will be held personally liable for all unsecured debts (mortgages and taxes) of the deceased property owner, up to the value of the property that passes to the named beneficiary. 6. The property may still be subject to Medi-Cal estate recovery if the property owner was a recipient of Medi-Cal benefits. As stated above, the use of TOD deeds is relatively new, and they are not allowed in all states. In California, we have undertaken a five-year trial period for TOD deeds. According to the California legislation, the use of TOD deeds needs to be re-authorized by the California legislature or approval of the use of TOD deeds will expire on December 31, 2020. In that event, after January 1, 2021, any revocable TOD deed that is properly executed during the five-year period will remain valid until the property owner dies or revokes the deed. Because of the disadvantages outlined above, particularly concerns regarding joint tenancy, community property, transfers to minors, and capacity to revoke, some estate planners believe that transfer on death deeds should only be used as a last resort if there is insufficient time to prepare proper estate documents. Additionally, this type of deed is not particularly necessary for married couples who can avoid probate by simply owning their home under joint tenancy or community property where, if one spouse dies, the surviving spouse would fully inherit the other's share. But despite these limitations, a revocable transfer upon death deed may be an ideal option for a single person whose only asset is the home in which he or she lives. Could a durable power of attorney be able to revoke the Transfer on Death Deed in the case of owner being incapacitated?